Fleas – an itchy problem! Hi there. I just had a question about my dog having fleas. I took him to the vet about 3 weeks ago because they were so bad that he had a horrible rash. We took him to a local vet and they gave us Comfortis. The flea pill. Saying that the fleas would begin to die in the next 15 minutes. Well 5 days after we took him to the vet he still had fleas on him. And was still scratching bad. So I called the vet and she said that he should be fine cause the Comfortis works and that fleas can jump on him but will soon die. Well its been 2 weeks since I called and he still has them. They will not go away. I bathe him often and its not helping. My dog is a male poodle mix. He’s 4 and weighs around 10 pounds. Although fleas are a relatively easy cause of itching and scratching to diagnose, they are a worldwide problem, as they are extremely difficult to get rid of, once they have invaded your home. Owners have often noted that one dog doesn’t seem to be bothered with the fleas, whereas another goes crazy if he even has one flea. Treating only the itchy one will not solve the problem in your house!! This article will give you a step by step approach to getting rid of those pesky parasites. 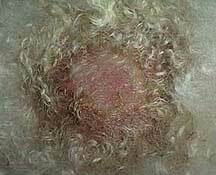 Look at the base of the tail and part the fur – if you see tiny scabs on the skin, there is a 90% chance it is caused by fleas. Put your poet on white paper or a white sheet and brush him or her. If you see black dirt falling, that dissolves in water on cotton wool, your pet definitely has fleas. If you want to see fleas running, look either between the fur at the base of the ail or turn your pet over quickly and look at the belly – you may see them there. Even if you don’t see an actual flea, but you find the black dirt and the scabs, your pet has fleas. Cats, are especially good groomers and often eat the fleas before you can see them. I have seen fleas on my pet but do I have a flea problem? 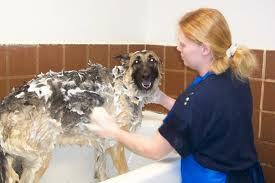 Yes, if you have tried bathing your pet regularly and using powder, shampoos, pills etc. and you are still not getting rid of them. Flea Collars – no one knows how long they are effective for and whether the whole body is covered or just the head and neck area and they can also be toxic to pups that chew them etc. 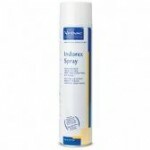 Flea Powder – has to be put on daily to get rid of them and this tends to be poisonous for the pet. Dips or Shampoos for ticks and fleas – don’t last on the pet’s body more than a few days. If you have a true flea problem, there usually isn’t a simple once off solution, no matter what the drug companies say. Getting rid of them will take 2-3 months and require dedication on your part. There are two places that have to become flea free – ALL your animals AND the environment where they live. There are hundreds of products on the market – the trick is knowing which ones work. I don’t recommend shampoos, dips, powders or flea collars. People were using these back in the 70’s and the fleas have become resistant to them by now. Also most of them don’t have a long lasting effect – they kill the fleas on the pet, but new ones jumping on 2-3 days later won’t die. 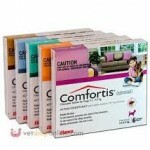 Long lasting products – ones that will kill and repel fleas for a month. 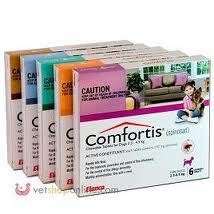 These include Comfortis, Frontline, Advantage, Advantix, Revolution and Fiprotec. They are either available as a pill or as drops you put on the back of the dog or cat’s neck. In most cases, with the drops, they work best on a dirty animal and not at all on a clean, wet one!! Don’t bath your dog first!! Other long lasting products on the market are known as growth control regulators, such as Program. The DO NOT kill fleas, only make them sterile and unable to breed. Worm all your pets. Fleas carry tapeworms. 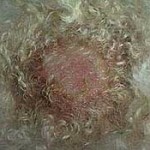 Treating the Environment – fleas are INDOOR parasites – they don’t live in the garden unless there’s somewhere warm. Wash all their bedding and baskets on the hot cycle in the machine. Include bedding and baskets from indoors and outdoors. Vaccuum/hoover thoroughly in ALL the areas where your pets lie. 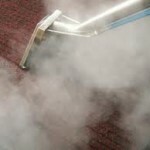 Hire steam cleaner for your carpets and steam clean ALL the carpets where your pets lie. Spraying – remember ordinary insecticides don’t kill the eggs or immature fleas – you need to get a product that will penetrate those life cycle stages as well. Remove all pets, birds and fish from the room and spray along all skirting boards, where the bedding and baskets are, and if your pets sleep with you, under your bed as well. 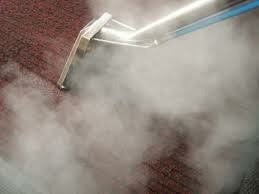 You can also get a fogger or have the room fumigated if you have a really bad problem. If you follow these steps, you should get rid of the fleas. The reason you have to continue treating your pets for so long is that eggs don’t all hatch immediately – some can only hatch months later and some immediately, depending on temperature, movement, humidity etc. 2 Responses to "Fleas – an itchy problem!" 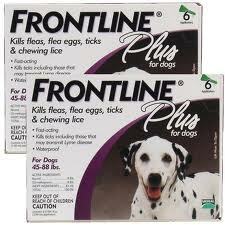 You can try Stronghold or revolution in young puppies or Frontline spray. that is very good solution but what do you do if you have very young puppies, how do you get rid of the fleas then?